Even as a long-time impassioned fan of Lotus Speculoos cookie spread, even I am getting too much exposure to Speculoos during its recent trendiness. 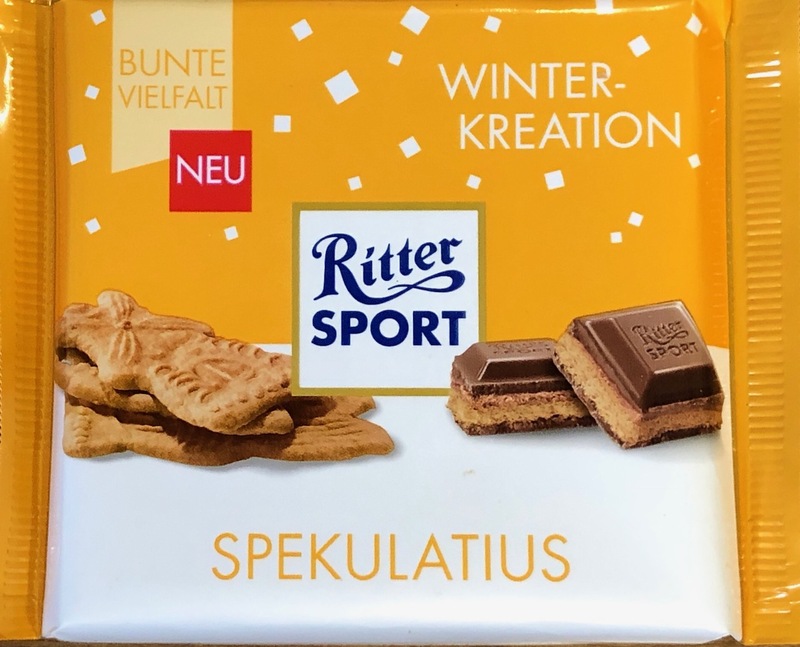 Speculoos is suddenly pervasive in ice cream and cookies and candy and it's delicious, but perhaps the market is just too saturated. 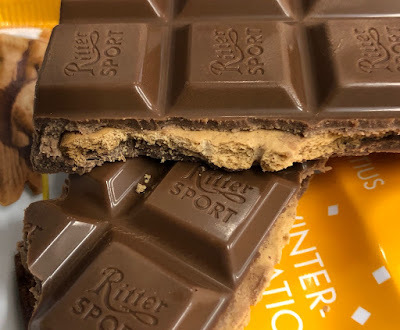 That said, Ritter Sport does everything so well, I expected their Speculoos / Spekulatius bar to be the best. Here's the rub. The bar actually uses the traditional speculoos cookie, not the speculoos cookie spread. I was ready for a creamy melty mouthful of the rich spread, but instead got a crunch-filled cookie bite. It was good. 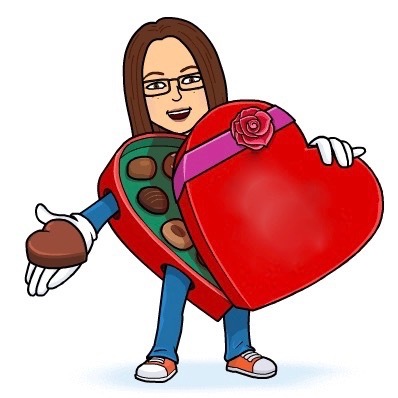 It's like a far better version of a chocolate covered graham cracker. 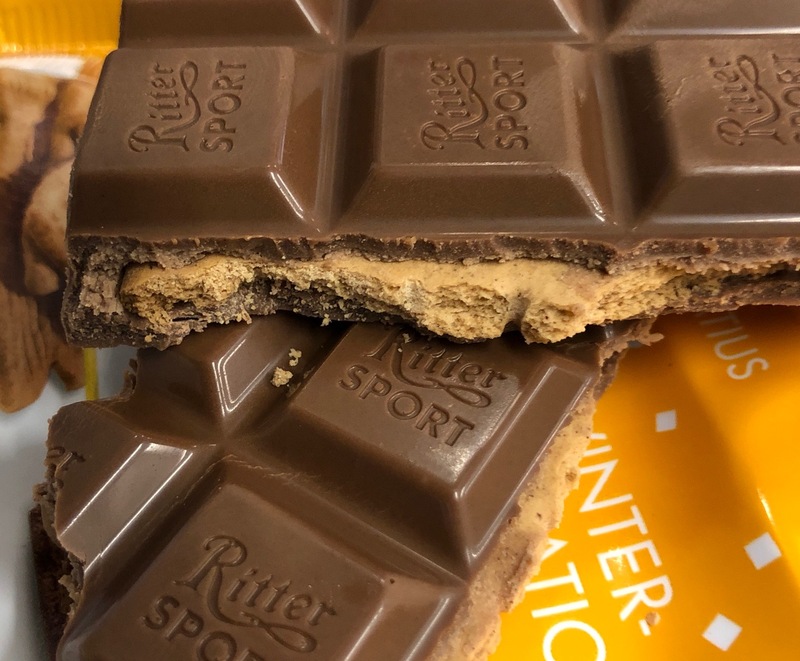 I wish Ritter Sport would try a Speculoos Cream bar, though. I think they would manage to make the combination amazing. What is Speculoos? Shame on me!